If there was just one thing that I could recommend to homeowners planning on selling a home is to improve upon their preparation for interviewing real estate agents. Recent surveys show that nearly three of every four home sellers choose the very first agent that they interview, and the results are alarmingly poor. Even in today's sellers' market, home sellers are either failing to sell (or worse), getting much less than top value for their home. I made the following video several years ago as a tongue-in-cheek stab at our real estate industry. Is this what you are likely to hear when you do your first interview? I hope this won't be your experience, but with 34% of homes failing to sell last year (in a sellers' market no less), I suspect this very well could be what you'll hear. So how do you ensure you hire the right real estate listing agent when it comes time to sell your home? Take a look at the tips I provide below, and you'll end up being among the minority of home sellers who end up thrilled with the process and who reap the maximum equity from their home after the sale. When you hire a real estate agent for the job of selling your home, that agent is referred to as the "listing agent." If you are like most home sellers, you would like to get top dollar for your home and sell it in a predictable time frame so that you can make your move as seamless as possible. These needs require you to be informed BEFORE you interview agents, and it requires you to place the thousands of dollars of equity that you have above the relationships that you might have with friends who have a real estate license. Most people know several agents, so you have to make a choice (it might as well be the choice that benefits YOU greatest). Do Your Homework - I have been brokering real estate for nearly 30 years, and the most common mistake that I have observed among home sellers is that they are not prepared to meet with a listing agent for an interview. They let the agent tell them about the agent and how successful the agent has been, but they rarely get any valid information about current market conditions or the systems and processes the agent has developed to market the home. You should know that times have changed, and you need much more than a salesperson to get your home sold for top-dollar. It takes a massive marketing plan to ensure you receive multiple buyers looking at your house. Why multiple buyers instead of "just one?" Because you require multiple buyers to accumulate more than one offer; it's the competition among buyers that will drive your final sales price to its highest level. Read valid articles on what it takes to sell a home for top-dollar today, and create a checklist against which you will evaluate the agents that you interview. The quality of your preparation will determine the quality of your hire, and the difference between the best agent and worst agent could very well be tens of thousands of dollars. So do it! Read Google Reviews - While past performance might not be indicative of future results, it still makes sense to see what others have to say about each agent that you interview. Question: When you are buying an expensive appliance like a television, or even perhaps when purchasing a computer or an automobile, don't you go online and read customer reviews? The ability to see what others have experienced is one of the most significant benefits that the internet has brought to consumerism; customers that you do not even know can advise you before your selection. Remember, the sale of your home is worth hundreds of thousands of dollars, doesn't it make sense to prepare as well or more than you did when buying a car or an appliance? Some review sites are bogus (Zillow, for example, is known to have thousands of fake reviews from the past), but Google understands the value of customer feedback, and they monitor reviews like a hawk. Make sure you "google" each agent that you want to evaluate to see what past clients have to say. You can narrow down the number to interview by only choosing those that are rated above 4.5 and have so many reviews that you know they are real customers, not merely friends and family members trying to help the agent out. Establish Your Criteria - As somebody who has been helping home sellers for nearly 30 years, I can tell you the top criteria you should have on your list is "marketing spend." Most agents spend very little when marketing a home. They put a sign in the yard, a lockbox on the door, send an email out to the Realtor database, and list the property in the MLS. The MLS then syndicates the listing to hundreds of other websites. And here their marketing ends. Active real estate marketing requires so much more. As one small example, we spend thousands of dollars on social media alone each month making sure people know about each of our listings. It's not enough to put something on Facebook; you need to spend the big bucks to ensure that the message is seen by tens of thousands of people in your market area to optimize your chances for multiple offers. Your listing agent needs to show you how they are going to market your home, and they should include both the pre-marketing and active-marketing plan as well! You'll be spending a lot of money for this service, make sure you get the best! If you want an example of what you will want to see, check this out. 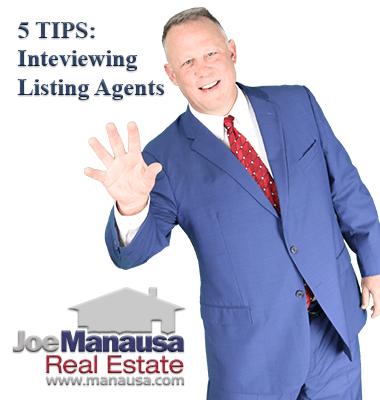 Ask Critical Questions - If you have done your homework and fully prepared yourself for interviewing a listing agent, then you have what you need to form a checklist of questions the agent needs to answer. Again, you'll be selling an asset worth several hundred thousand dollars, so it should not come as a shock that you have relevant concerns about what will be done to sell your home. At a minimum, you should have them demonstrate their digital marketing plan, provide you a list of successful sales (not when they worked with buyers, instead when they were hired by home sellers to market a home), and they should extensively cover housing market conditions. 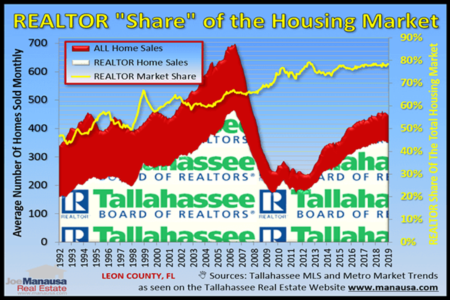 They should address supply and demand for the overall market, and then supply and demand for your home specifically. The agents that have a technical marketing plan, built around robust digital marketing and an understanding of current housing market conditions are the ones most likely to fetch you top dollar for your home. Period. Make Them Prove It - The fifth and final tip might be the hardest one for you to follow, but you'll want to try your best to do so. You need to get the agent to prove to you that all that she or he has said in her presentation and answers to you is true. Fortunately, I have a great tip that will help you accomplish this. It is customary for home sellers to meet with listing agents in the home. Meeting in the subject property allows the agent to see the condition of the house and discuss things that need to be done before the marketing of the home commences. But this is a deliberate tactic the agent uses to cloud your judgment, and you need to take control. When you are interviewing agents for the job of selling your home, you need to meet at the real estate office. It will be at the office where the agent can prove to you that a large marketing team is assembled to promote your home. Did you know that the majority of real estate agents are part-time and do not even have an office? Most agents prefer to meet you at your home, as you will be an easy target for emotion-based selling that makes you feel warm about the agent (because you feel good about your home). Think of it this way: If you meet with three smooth-talking salespeople individually at your house, it might be difficult for you to separate the wheat from the chaff. But if you evaluate each agent at his or her office, you'll be in a great position to determine which one has the best supporting cast to market your home effectively. Yes, it is essential for your listing agent to see your home before recommending an initial asking price, but that is not important initially. First, conduct your interviews and hire the right listing agent, then bring the agent you have already engaged to your home to discuss what you need to do and how you should price your home. Agents often mislead homeowners with high valuations to secure the listing, but this won't happen to you because you'll meet with them offsite and discuss their marketing, not your home! One final thought about interviewing agents is that you should do it sooner, rather than later. A good agent will be able to give you a list of small home-improvement tips that you can work on while the agent starts the comprehensive premarketing plan. You can read more about premarketing here, but you should know that 99% of agents skip this step. Don't hire one of them! 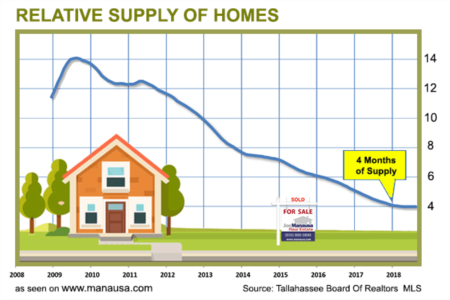 If you would like to know more about selling a home in Tallahassee, give us a call at (850) 366-8917 or drop us a note and we'll be in touch right away to help you with 5-star customer service!